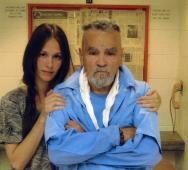 Charles Manson is Getting Married!? Charles Manson is an American serial killer and musician born on November 12, 1934. Charles Manson is currently 80 years old and is serving life in prison at Corcoran State Prison because the Supreme Court of California stopped the death penalty law in 1972. Manson applied for parole and was denied on April 12, 2012 because he did not show any remorse for the 108 violations he received since 1971. He was born in the General Hospital, in Cincinnati, Ohio to parents Kathleen Maddox and Colonel Walker Scott. He was a singer and songwriter in the Los Angeles music industry whose songs were released commercially after being convicted of murders. A few of his songs were covered by Marilyn Manson, White Zombie and Guns N’ Roses. Manson had two wives and three kids that were proven by paternity but he claims to have other children. He was convicted of notoriously murdering seven people (master-minding the murders even though he made the mistake of the house occupants, right house wrong people) including pregnant actress Sharon Tate, wife of Roman Polanski. Manson is eligible for parole in 2027 because he would have spent more than half of his life in prison at that point. I saw From Hell (2001) starring Johnny Depp and have to admit that I liked it and watched it a few times since. FX has greenlit a new TV series based on the graphic novel written by Alan Moore. FX’s From Hell TV series will feature a screenplay written by David Arata (Children of Men). The movie did not follow the source material too closely and it has not been confirmed how closely the TV series will either. I am excited to see what happens because Jack the Ripper was such an interesting character and quite the mystery for years, until the mystery of Jack the Ripper was solved recently. Sean Bean (Silent Hill, Silent Hill: Revelation, The Lord of the Rings) is a favorite actor of mine and he will be starring in ITV‘s The Frankenstein Chronicles mini-series. The new UK TV series will be a six-part mini-series for ITV Encore, the UK subscription channel. 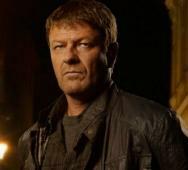 Sean Bean will play Inspector John Marlott with Rainmark Films to produce. Filming is expected to start this January 2015. Damien Leone‘s Frankenstein vs. The Mummy (2014) now has an awesome looking movie poster released. The poster shows both Frankenstein and The Mummy fantastically. Off the top of my head, I do not know who will win and how but I want to find out now. 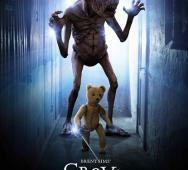 This movie releases on February 10, 2015 so you had better set your calendar for this epic battle of horror icons. Cast in Frankenstein vs. The Mummy (2014) are Robert MacNaughton, Ashton Leigh, Max Rhyser, Brandon deSpain and Constantin Tripes. 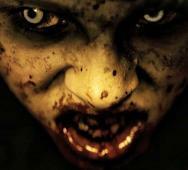 Bruce Campbell and Sam Raimi on board for new Starz Evil Dead TV Series!? It has been confirmed that Sam Raimi has already written the 10-episode Ash vs Evil Dead Season 1 TV series. 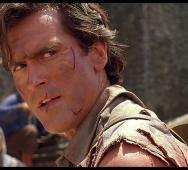 Bruce Campbell will star as Ash premiering in 2015. The pilot episode is even directed by Sam Raimi on a script that was co-written by Sam Raimi and brother Ivan Raimi. This is fantastic news and we would love to hear what you Evil Dead fans have to say. These are the best upcoming zombie movies coming out in 2015. We narrowed down this list to our favorite zombie picks because there are a lot. Some indie zombie movies did not make the list because they just did not sound good enough to list right now with the limited promo material released. Please feel free to add additional movies in the comments below. Doug Jones in Nosferatu Remake as Count Orlok!? Doug Jones is a terrific actor and together with filmmaker David Lee Fisher would love to KickStart (link below) their Nosferatu Remake project.They do a “visual remix” where they scan the original movies background and set the new actors on green screen over the original sets, keeping costs low and the original atmosphere of the classic. Take a look at the video below and I know they will reach their 60K goal soon. Are you excited to see Doug Jones play one of the best vampires in history, I am. Hellraiser Reboot with Clive Barker and Doug Bradley!? The Hellraiser Reboot is moving forward with Clive Barker and Doug Bradley has just been Ok’d to play horror icon character Pinhead. 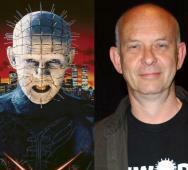 We just need Doug Bradley to sign the papers committing to the role of Pinhead. Clive Barker has released a statement below that you should read in it’s entirety. Dimension Pictures will head the Hellraiser Reboot and I would love to see what they do this time around with a much bigger budget in place. 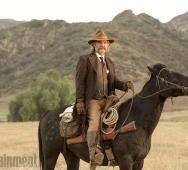 Today we have the first photo of Kurt Russell in Bone Tomahawk (2015). This film is a cannibal horror western movie that sounds very interesting. Bone Tomahawk is directed and written by S. Craig Zahler. Kurt Russell will star as an old lawman trying to save captives from cannibals in uncharted territories. This is different and sounds very interesting and the cast lineup is very promising. Also starring in Bone Tomahawk are Matthew Fox, Patrick Wilson, Sid Haig, Sean Young and David Arquette. New Netflix horror movies (via Netflix Streaming) now has WGN’s Salem - Season 1 (2014), Addams Family Values (1993), Bram Stoker’s Dracula (1992), Night of the Demons 2 (1994), Arachnophobia (1990), Beneath (2013), Curse of the Crimson Altar (1968) aka The Crimson Cult (1968), DeepStar Six (1989), The Haunting (1999) and The Phase IV (1974). I know I trailed off on Salem and I started catching up on that already. Bram Stoker’s Dracula is an all time horror favorite of mine and Addams Family Values is funny for the family. I wouldn’t mind watching Night of the Demons 2 and Arachnophobia. The only movie I have to watch on this list is Beneath. Have fun adding these movies/TV season to your Netflix Queue. Clive Barker has confirmed that he will be moving forward with a Hellraiser Reboot. The first two movies were horror classics but then they went way downhill from there. Clive Barker says that a reboot is needed and it will all start on Devil’s Island. This is all very early news on the Hellraiser Reboot and nothing has been finalized yet. How eager are you to see a new Hellraiser movie? Julien Maury and Alexandre Bustillo has been confirmed to direct the prequel to The Texas Chain Saw Massacre for Lionsgate and Millennium Films. This film takes place during Leatherface‘s teenage years. We get to see how this deranged serial killer Leatherface grew up and the path that shaped his demented future. If you are curious about the real life inspiration for Leatherface, check out our Famous Serial Killer Ed Gein article. Epic Pictures Group and Axelle Carolyn will be bringing us 10 stories in a new horror anthology titled Tales of Halloween. Tales of Halloween will focus on one community under isolated attacks by ghouls, aliens and killers with which the stories all tie together. 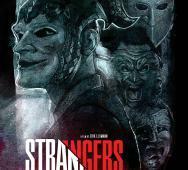 Directors include Neil Marshall, Darren Bousman, Mike Mendez, Joe Begos, Andrew Kasch, Adam Gierasch, Paul Solet, John Skipp, Ryan Schifrin, Axelle Carolyn and Dave Parker. That is an insane amount of horror talent and the directors list alone is amazing. 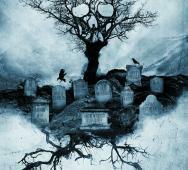 Shooting begins this November 2014 with the expected release date of Halloween 2015. Marvel Studios president Kevin Feige just dropped the official Marvel movie lineup and it is GLORIOUS! 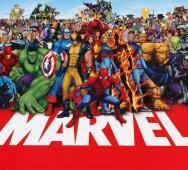 This is the first of the news for the Marvel Phase 3 lineup of movies. This list includes Avengers: Age of Ultron (2015) to Avengers: Infinity War Part 2 (2019). This news was officially announced at the El Captian theater in Hollywood today. The full list and details are below. This is a great day to be a Marvel fan. 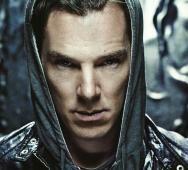 Marvel‘s Doctor Strange (2016) will be played by Benedict Cumberbatch. 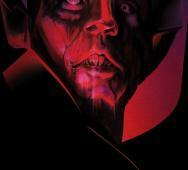 The Doctor Strange movie will be directed by Scott Derrickson because Marvel wants a very dark Doctor Strange movie. Cumberbatch’s contract as Doctor Strange will most likely be for at least 4 Marvel films. Doctor Strange is a fantastic character who fights demons and other-worldly beings and is the sorcerer supreme of magic. I cannot wait to see how this film adapts to the big screen. Brent Sims’ Grave Shivers (2014) looks really good so make sure you check out this horror short and poster. This sci-fi/horror anthology was originally known as Deadtime Stories while getting crowdfunded on KickStarter. Cast in Grave Shivers are Maddie Nichols, Elizabeth Foley and Bailey Celeste . 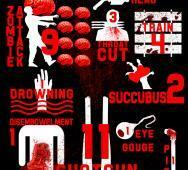 Today we have a real treat for you with a special V/H/S and V/H/S 2 infographic showcasing the deaths of the V/H/S franchise. The deaths are broken down by who/what killed the victims. This infographic is a special promo for the V/H/S: Viral (2014) VOD & Digital Platforms release that is available right now. V/H/S: Viral hits movie theaters this upcoming November 21, 2014 with stars including Patrick Lawrie, Emmy Argo, Heather Hayes, Jessica Luza, John Curran, Justin Welborn, Mary Ralston, Michael Aaron Milligan, Gustavo Salmeron, Marian Alvarez, Xavi Daura, Esteban Navarro, Nick Blanco, Chase Newton, Shane Bradey and Jayden Robison. 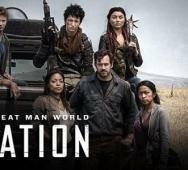 Syfy‘s Z Nation Season 2 is officially announced and confirmed by The Asylum. Z Nation is an original TV series about zombies taking over the world and how survivors are trying to reclaim the world after 3 years. Co-creator of Z Nation, Craig Engler, also tweeted about the Z Nation Season 2 breaking news, link below. Cast in Z Nation are Nat Zang, Russell Hodgkinson and Kellita Smith. 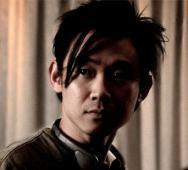 James Wan has been confirmed to return to direct The Conjuring 2 (The Conjuring 2: The Enfield Poltergeist (2016)). Warner Bros. will release The Conjuring sequel under New Line Cinema. James Wan needed extra time to promote his and Universal Studio‘s Fast & Furious 7 film. James Wan will also head science fiction, horror and comedy films under his new Atomic Monster production label from the new agreement struck with New Line Cinema. I know James Wan will take everything that worked well with Ed and Lorraine Warrens’ paranormal case story and amplify it in the upcoming The Conjuring sequel, sad we have to wait until 2016 for the movie release. Are you hungry for more Xenomorph scares? Sega‘s Alien: Isolation has announced the new add-on titled ‘Corporate Lockdown’. 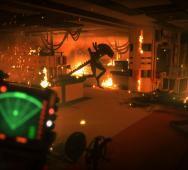 This is the first add-on for Alien: Isolation that will be released on October 28, 2014. Gamers will get a new character and goals. There will be four more add-ons (‘Trauma’, ‘Safe Haven’, ‘Lost Contact’ and ‘The Trigger’) released in the upcoming months by March 2015. The Conjuring 2 (The Conjuring 2: The Enfield Poltergeist (2016)) has been officially pushed back to a 2016 release date. Warner Bros. decided to move some dates around and The Conjuring 2 will now get some extra time to mature. The original October 23, 2015 date may be the release date for Crawlspace or Superstition but it is still too early to confirm. So you are going to have to wait another year to see paranormal investigators Ed and Lorraine Warren in another paranormal case. It is still unknown if James Wan will be attached to The Conjuring 2 but Patrick Wilson and Vera Farmiga is definitely returning for The Conjuring sequel. 20th Century FOX Home Entertainment is celebrating the Wrong Turn 6: Last Resort Blu-ray / DVD release today with a Wrong Turn infographic. 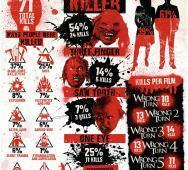 This infographic has total kills, ways people were killed, kills by gender and kills per film. There is even a nice tally of how many kills Three Finger, Saw Tooth and One Eye made; Three Finger is in the lead bigtime. Starring in Valeri Milev‘s Wrong Turn 6: Last Resort are Sadie Katz, Aqueela Zoll, Anthony Ilott, Chris Jarvis, Rollo Skinner, Billy Ashworth, Joe Gaminara, Harry Belcher, Raymond Steers, Luke Cousins, Tabitha Luke Eardley and Roxanne Pallett. 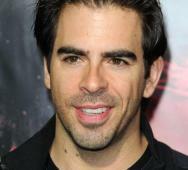 Eli Roth has confirmed that he will Executive Produce a Cabin Fever Reboot film. Travis Zariwny will begin shooting off of Roth’s original script. 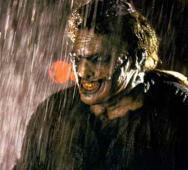 Eli Roth said that Travis had a great vision for the original script and Roth cannot wait to see it. Below we have the press release for the Cabin Fever Reboot. Tell us what what you think of this news in the comments below. Legendary Pictures, Sony, Contradictions Films and Crackle‘s Dead Rising (2015) movie is moving forward nicely and today we have a new movie photo reveal. Rob Riggle, Harley Morenstein, Keegan Connor Tracey and Aleks Paunovic joins already announced cast of Jesse Metcalfe, Meghan Ory, Virginia Madsen and Dennis Haysbert. 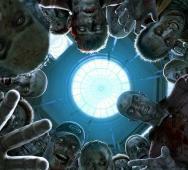 Zach Lipovsky‘s zombie film is now being called Dead Rising: Watchtower (2015). Alexandra Breckenridge has been cast in AMC’s The Walking Dead Season 5 and possibly The Walking Dead Season 6. Alexandra Breckenridge ‘s character will play Samantha, “an attractive, strong, smart, charming and articulate woman with a vulnerable side. She’s a mother with a bohemian spirit, and a talented artist.” This character may become a recurring regular character in The Walking Dead Season 6, it may be safe to get familiar with her character. This character name is not found in The Walking Dead comic book but this happens a lot where the characters get announced under fake names and have similar stories to what is originally announced. I remember Alexandra Breckenridge from her role as young Moira in FX’s American Horror Story Season 1. Tell us what you think about this casting news for The Walking Dead Season 5. George A. Romero‘s Night of the Living Dead will live on in a prequel movie (Night of the Living Dead: Origins) from Romero’s son George Cameron Romero. This new zombie movie will tell the tale of how the zombie apocalypse started 46 years ago. 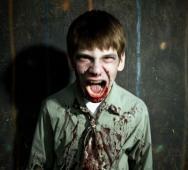 Cameron is looking for crowdfunding with Indiegogo to raise $150,000 to start the zombie project. Cameron will then seek additional funding from outside sources. There is a load of reward tiers for funding the film on Indiegogo so make sure you check them out. Are you excited to see this film, will you be helping with the crowdfunding and tell us what you think about the early movie poster below, please let us know in the comments below. 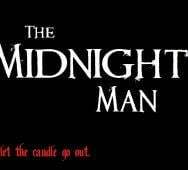 The Midnight Man Game also known as “The Midnight Game” is mainly used as a scare tactic and is also a ritual that allows a person to let a spirit (boogeyman) into his/her house. The game is believed to be real and is very dangerous and not recommend for people to try. There is a chance of death and mental trauma for those who dare to play this deadly game. The game was once used to punish people who break the rules a long time ago in pagan religions. Christopher Landon‘s Scouts vs. Zombies (2015) has just underwent another release date change. The new release date for Scouts vs. Zombies will be on October 30, 2015, being pushed back from the originally slated February 20, 2015. This zombie film is a horror comedy that has a lot of potential. Starring in Scouts vs. Zombies are Tye Sheridan, Logan Miller, Joey Morgan, Sarah Dumont, David Koechner, Cloris Leachman, Halston Sage and Patrick Schwarzenegger. Official news has confirmed Tremors 5 and a new photo. 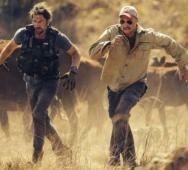 Film production will begin for Tremors 5 starting September 22, 2014 in South Africa. The press release also revealed that Jamie Kennedy and Michael Gross will star with Michael Paul to direct. Tremors 5 is scheduled to release on Blu-ray, DVD and Digital HD in 2016. 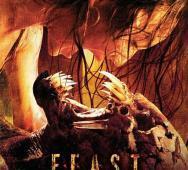 Are you excited for Tremors 5 and what are your thoughts on Jamie Kennedy in this film? 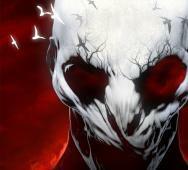 This is the Ultimate Horror Anime List that contains only the best horror anime. 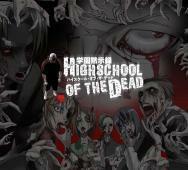 The list brings all the best horror anime with many different subgenres. The anime listed below has vampires, zombies, ghosts, werewolves, ghouls and other supernatural monsters. We are sure that you will be able to find a few that you may have missed and a lot of honorable mentions are also included. Have fun and enjoy our best horror anime list. This is an update to our Top 10 Horror Animes List. FX has reported that American Horror Story: Freakshow has broke FX ratings records. The premiere episode saw 10 million viewers. 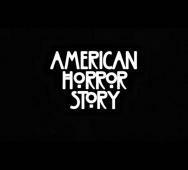 FX made the only choice they needed to make in this situation, they renewed American Horror Story for another season confirming that there will be an American Horror Story Season 5 for 2015. Did you see the premiere and what did you think of it? The Florida Skunk Ape is the Southernmost Bigfoot found in the U.S.A. and Skunk Ape sightings are reported throughout Florida. The Skunk Ape is also known as the Swamp Ape, Stink Ape, Florida Bigfoot, Myakka Ape and the Myakka Skunk Ape. 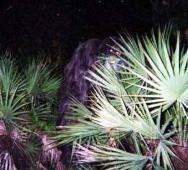 Reports of Skunk Ape sightings are common in Florida but there have been reports in North Carolina and Arkansas. The Skunk Ape looks like a huge ape-like creature and has a stinking odor that gives it its’ name. AMC has revealed that The Walking Dead Season 5 premiere has shattered previous records with the new record breaking number of 17.3 million viewers for the 9 pm airing only. Nielsen reports 11 million viewers for Adults 18-49 and 9.9 million viewers for Adults 25-54. 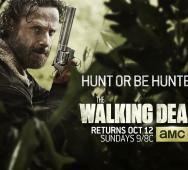 Did you see AMC’s The Walking Dead Season 5 premiere last night and what are your thoughts on the episode? The Underworld TV Series is confirmed and in development thanks to Lakeshore Entertainment. The TV series was confirmed at the New York Comic Con 2014 (NYCC 2014) where IGN spoke to writer/director Len Wiseman who revealed the TV series and additional movie starring Kate Beckinsale as Death Dealer Selene. Kate Beckinsale will return for the Underworld Sequel, a film after Underworld: Next Generation. That means we will see 2 new Underworld movies and an Underworld TV Series in the near future. FOX has been thrilled with the ratings for their Gotham TV series and has expanded season 1 to a total of 22 episodes, 6 additional episodes. 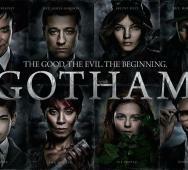 I am really liking the Gotham series and FOX stated that Gotham is the best Fall drama in ratings for the last 14 years. If you need to get caught up on the season so far, Hulu is currently showing all of the previous episodes along with all future episodes the day after air date. Constantin Film has confirmed that they will be producing TV shows based on the Resident Evil movies and the Mortal Instruments. 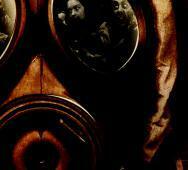 The Resident Evil TV Series picks up after the events on the final Resident Evil movie set to release in 2016. I am curious what you think of a Resident Evil based TV series that seems to follow the movies, not too sure yet how close the movies will tie into the TV series. The movies seem to get worse with every new movie released but maybe under a new production team, the TV series will look way better. Jennifer Dent‘s The Babadook (2014) has received a lot of well deserved hype with the trailers and today Gary Pullin puts his own spin on The Babadook poster art. Look for The Babadook in UK on October 24, 2014 with the movie finally coming to the US on November 28, 2014. 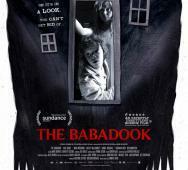 Starring in The Babadook are Essie Davis, Noah Wiseman, Daniel Henshall, Hayley McElhinney, Barbara West and Ben Winspear. AMC's The Walking Dead Season Six Confirmed! Robert Kirkman and AMC’s The Walking Dead Season 6 has been officially confirmed. This should come as no surprise since The Walking Dead is the highest rated show in cable television history. I hope the new companion series to The Walking Dead does as well, even better, with its’ new story of survivors killing zombies. More Rick Grimes (Andrew Lincoln) and Daryl Dixon (Norman Reedus) confirmed for 2015 - 2016. Halloween is one of our favorite holidays where we get to dress up as our favorite characters and watch terrifying movies that makes us scared out of our minds. October is Halloween horror month where you can make your house as scary as you want with zombies on your lawn to scare the pants off of your neighbors at night. I love Halloween! Below is our list of the Top 31 Horror Movies for Adults to Watch on Halloween and the Top 31 Honorable mentions. I included classic horror movies so the list is all rounded out. There is so many Halloween movies so please feel free to comment below and let us know if there is a movie you like that is not on our list. Happy Halloween!!! Halloween is an awesome holiday that toddlers, kids, teens and adults enjoy. 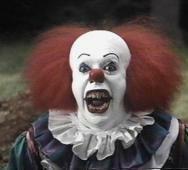 Halloween can be scary for young kids from age 2-5 known as preschoolers. We have compiled a list of 20 preschooler friendly Halloween DVDs and episodes from TV shows, to enjoy with your little ones. Some of the shows are available on DVD, Netflix, Amazon, Redbox, Youtube and other sources. Please feel to leave a comment below suggesting other movies we can add to this amazing list. Happy Halloween and enjoy with your little ones. The Origin of Halloween or All Hallows Eve are many with the oldest documented origin being the Celtic festival Samhain. 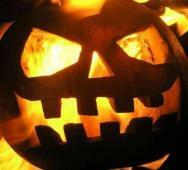 The history of Halloween (Halloween Origin) was far different from todays candy Trick or Treat focus. Modern Halloween was originated by the Celtic/Druid Samhain festival then mixed with Roman and Christian customs before being modernized into what we have today. This is a movie list of the most underrated horror movies that I like. Everyone is not going to agree with the entire list but I know you will find some hidden horror movie gems in this list that you haven’t seen yet. I have seen these movies recently, many late-night on Netflix Instant. I watch many of these movies yearly and they have really grown on me as personal favorites. It would be of no surprise to see a few John Carpenter movies in the list, unintentional. We decided to list horror movies as far back as 1980. Some of these movies are also lesser known cult horror movies that general horror fans may not know of while others are movies that I watched and was amazed by the story and cinematography. 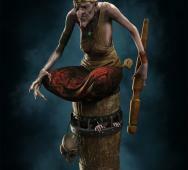 Baba Yaga is one of the most evil witches in folklore who originated somewhere in Russia and is immortal. Russians call her “Baba Yaga Kostianaya Noga” which translates to Baba Yaga Boney Legs. Baba Yaga is said to have iron teeth and a ferocious appetite. Most times Baba Yaga is said to be a single witch while other stories tell that there are three witches, all named Baba Yaga. Baba Yaga is said to guard the fountain of the Waters of Life and of Death. That’s right, The Drowning horror game that is currently available to play on the iPhone has been confirmed as a movie adaptation also. The guys who worked on Olympus has Fallen and The Expendables 3, Creighton Rothenberger and Katrin Benedikt, will bring us The Drowning movie. They certainly do have the experience but how will they do with a horror movie, I cannot wait to find out. The game was about an ancient organism that was released during an offshore drilling accident. 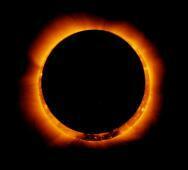 The result is the organism changes humans into horrific creatures. I cannot wait to see how The Drowning movie plays out. 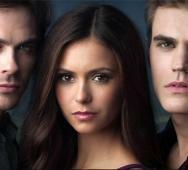 Netflix Instant now has CW‘s The Vampire Diaries Season 5 available for streaming. This Vampire Diaries season includes 22 episodes. This is just one day after The Vampire Diaries Season 6 premiered yesterday on October 2, 2014 on the CW. You can catch up on Season 5 and watch the Season 6 premiere again on Hulu. Netflix also added AMC‘s The Walking Dead Season 4 a few days back for streaming on Netflix Instant. Horror comedy Zombieland (2009) has finally received the Zombieland 2 (Zombieland Sequel) confirmation that many horror fans have been waiting for. Ruben Fleischer will return to direct the sequel with Dave Callaham as the new writer. Callaham wrote for recent films The Expendables (2010) and Godzilla (2014). Sony Pictures has shown that they are onboard to continue the Zombieland franchise but there has been no confirmation if any of the original cast (Jesse Eisenberg, Emma Stone, Woody Harrelson, Abigail Breslin, Bill Murray) will return. 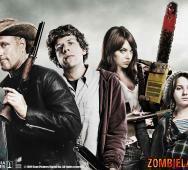 The original Zombieland film was successful at the movie theaters with $100 million at the box office. Has the Zombieland cast moved on and what happened to the Zombieland TV Series since Amazon passed on the pilot back in May 2014? Curious what you think of all this, tell us in the comments below.